There was a time when, as soon as I received my paycheck, I would think about how it was already spent on bills, food, gas, etc. As quickly as that money came in, it was gone. I was so tired of not having money. Then, one payday, I sat and thought about what that paycheck really meant. Slowly, just a little shift in my thoughts about my money broadened my world and made me see the abundance that surrounds me. Here are just a few questions that started to open a door to a richer life. Obviously, a paycheck is a payment for work that we do. Many of us also see our paycheck as a means to survive and provide for our families. Now, here is where I began to think differently. Beyond this means of obtaining things to survive and make our lives comfortable, the work I do to obtain a paycheck also provides me an opportunity to make a contribution to the betterment of my family accounting firm and our clients. In return, I receive, not just money, but connections, friendships and gratitude from those who I crossed paths with because of my work. Furthermore, whether your work IS your passion, OR work that may not be your passion, but, it provides a means that allows you to do what you are passionate about, you can still find joy in your work because you are grateful for the opportunities it provides in addition to the money you earn. Sometimes, your most horrible jobs prepare you for pursuing your passion! Like most women, I love to go shopping, especially for clothes and shoes. However, because my decisions about money are now centered around my spiritual well-being, I can do away with needing material things. Currently, we have been saving for a family trip to Japan. At first, I felt guilty for wanting to spend such a huge amount of money on this experience. However, it will be an experience to last a lifetime. Visiting another culture and exploring a new land will be life-changing for me, my husband Alex, and our boys. I’m not saying that we can’t enjoy a Louis Vuitton bag, a nice car, or a pair of Christian Louboutin shoes. However, when our purchases are ego driven because we are defining ourselves with these things, the pleasure is temporary, and then we need to keep buying things, and the upkeep of our ego becomes never ending. When we define who we are by what we do and not what we have, we can enjoy a life with or without many materialistic things. My perspective on how I spend money also applies to how I save money. What are we saving money for? Is it driven by our spirit or ego? Do we save to create experiences for ourselves? Saving for retirement, a vacation, or a home are ways we can mold our future into one that supports our spiritual well-being. However, not spending a single penny for fear of running out of money is ego driven and certainly comes from a mental state of lack. When we spend or save money to fill a feeling of lack, it perpetuates our fear of never having enough. Nature has given us, for free, what we need to survive, sun, water, and plants which provide us air and food. All other needs have been created by people. Wow! From this perspective, when we add friends and family, we really can see how truly abundant we are. Define yourself by what you do, not what you have. Ultimately, if we see our jobs as opportunities to connect with other humans and assist one another with our life here on Earth, we certainly gain more than just a paycheck. 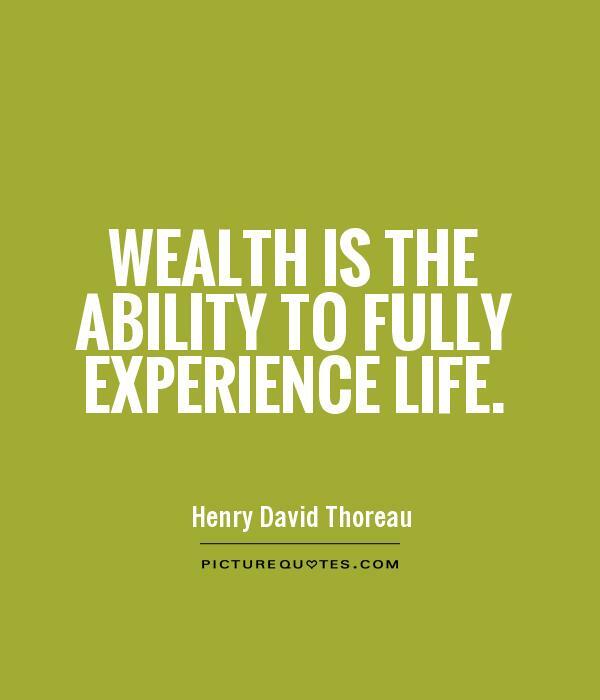 When we utilize our money to support a life of wonderful experiences full of joy and happiness rather than a life full of nice things that are “in style” for now, we focus on what we are grateful for and ensure future abundance. Naturally, a person who makes $20,000,000 has the ability to live much more comfortably than the one who makes $20,000. However, if the one who makes $20,000 can continue to be grateful for all that he receives financially and non-financially, he will continue to grow in wealth in forms of money, opportunities, experiences, knowledge, wisdom, and the love of friends, family and maybe a nice pair of Louboutins.